Trip Booklet 4 1/4 in. x 11 in. * - These sizes are in stock in BLACK for immediate shipment. 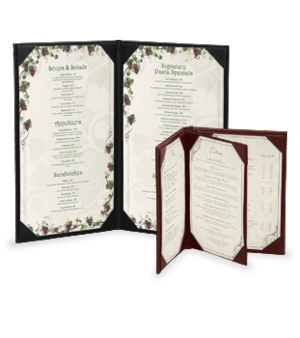 Please call for availability of Burgundy menu covers. 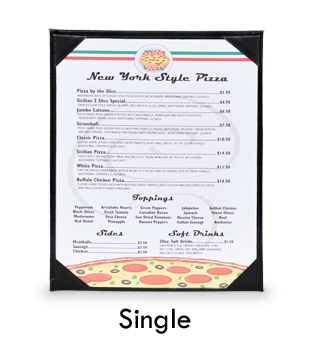 Clear vinyl overlay sheets are sold separately in Packs of 50. 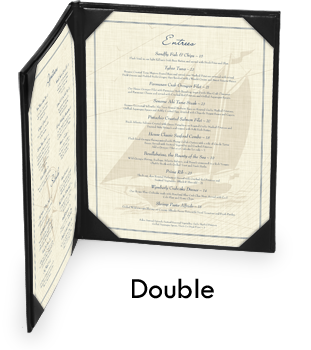 Click here to order overlay sheets. 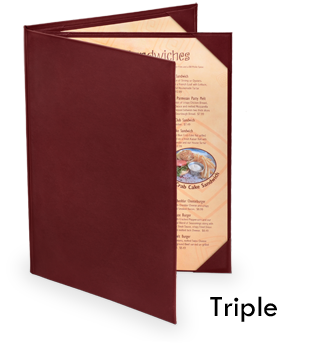 Case made imitation leather menu covers with the outside lining turned over rigid board and covered by the inside lining. We've manufactured and stocked a few sizes and colors and have them available for quick final assembly and shipping, at wholesale prices. Call for availability before placing your order.